Should Bullfighting in Spain be Banned? I think that bullfighting in Spain SHOULD be banned for two reasons. It is cruel to the bulls. The bulls are tortured days before the bullfight. They are stabbed with an estocada during the fight to kill it. It is unsafe for the matadors. They could get hurt if the bull gets his horns in to him. 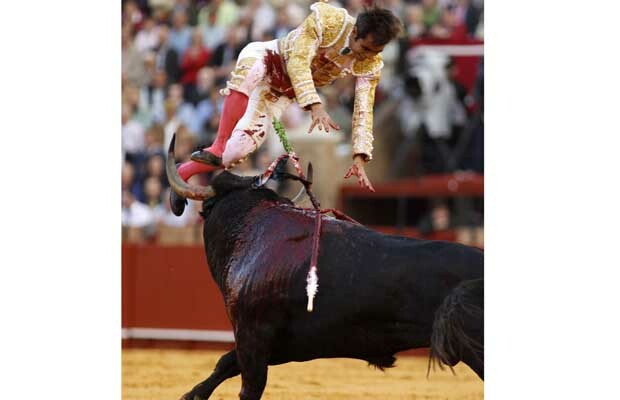 If the matador trips or falls over the bull could trample him and crush his body. I am lucky that I am not a matador nor a bull. I really agree with you. What a great answer. You're doing so well on the SLJ.